When there is a fireplace installed in any living space, it is surely the center point of the room. Designing the fireplace well, not only increases the elegance of the fireplace, but also pulls the entire room together, with beautiful and interesting design elements. 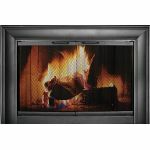 One particular great addition to home decor, for homes with fireplace, is certainly a fireplace glass door. These are not only design elements that are added for the appearance of the home, but are very useful as well. Fireplace doors are important for every home with a fireplace due to the protection they provide when the fireplace is on. Generally, the sparks from a fireplace can fly out in various directions, and damage household property around. In situations where rooms are carpeted, it can result in a dangerous situation of catching the room on fire. Whether or not there are unnecessary burn-outs or damages, the areas around the fireplace can look extremely untidy when the ash and soot from the fireplace do fly out. It could really be dangerous with an open fireplace and keep it operating during winter, especially if there are kids in your home or even household pets. Having glass fireplace doors is one solution to all the previously listed concerns. Covering fireplaces not only protects your home from debris, but also eliminates sparks from flying out into the livable space. It also helps to protect kids and household pets from getting injured by the fireplace, and makes it easier to keep the fireplace attractive. Another main reason to install a glass door is basically because it can be energy efficient. It keeps the house from overheating whenever the fireplace is being used. If the living space is heated enough, glass doors can control the temperatures inside the room, when they are slid back into place. Installing glass doors simply means the fireplace can still be in use even if the room is well heated, which will keep the atmosphere beautiful. 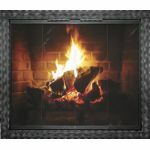 It creates a perfect atmosphere in the room with the fireplace going, whatever the season. 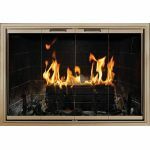 Deciding on the best fireplace glass door is vital to complete enjoyment of the hearth. Those that can be opened completely are the best to install as cleaning the fireplace and loading it gets easier. The ones which have window partitioning with screws set up are the easiest to take care of because the probability of breaking them while cleaning is lessened. Fireplace doors come in a wide variety of styles to make great improvements to the focal points of a room. While deciding on a door, keeping the decor of the livable space in question is important. Given that they come in so many attractive designs, choosing the best one can be somewhat challenging. The color of the fireplace and the design of the fireplace can determine which glass door looks best. Investing in a good quality glass door ensures more savings in terms of maintenance. Energy flexibility and efficiency of the glass door depends on the design and quality of the product. Please excuse the some of the grammar and content of this article. 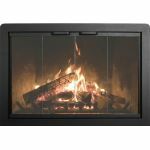 This outsourced article was created primarily so search engines (computer robots) will have special keyword content to crawl on the Fireplace Glass Doors category to help you find us easier on the internet.